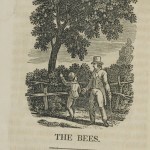 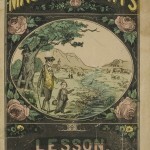 Our collection of chapbooks is divided into several categories by subject matter, one of which is “Instructional.” This category contains all sorts of chapbooks imparting good manners and religious lessons to young readers, through songs, poems, and moral tales. 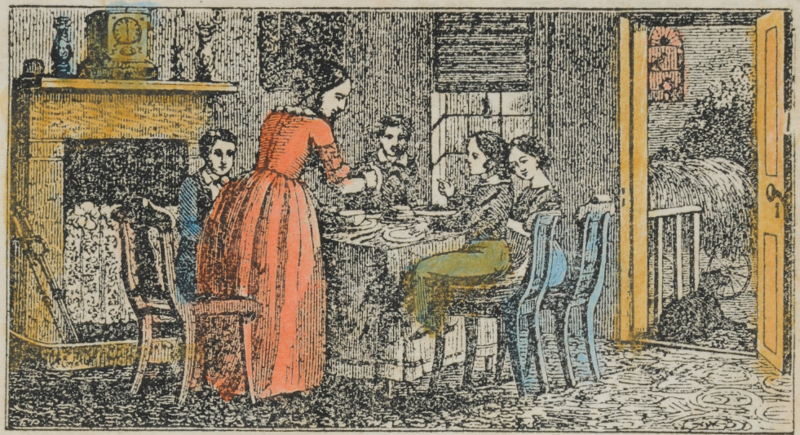 The lessons range from charity to industriousness, with a good dose of piety thrown in. 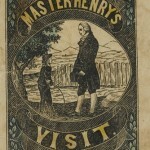 One of the main themes throughout each work, however, is obedience, both to God and parents. 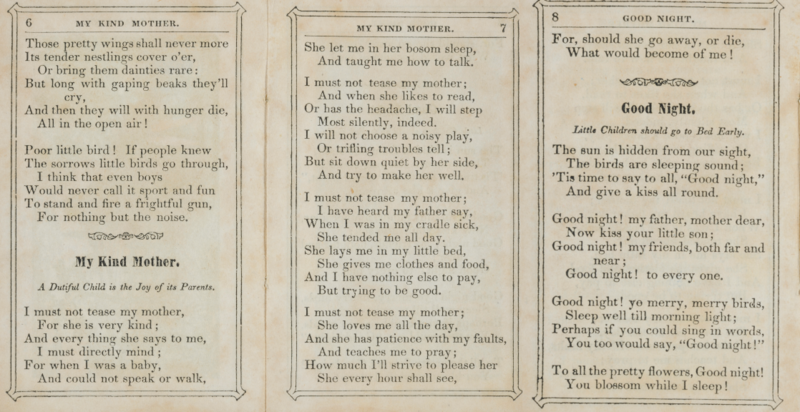 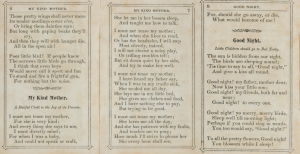 So, in honour of Mother’s Day this weekend, and in celebration of my own mother, who is indeed very kind, I offer up this little instructional poem found in “Pleasing Poetry and Pictures: For the Mind and Eye,” from 1849. 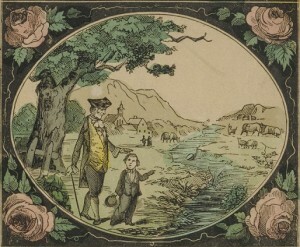 A Dutiful Child is the Joy of its Parents. 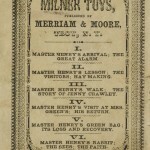 And taught me how to talk. 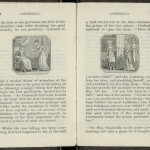 And try to make her well. 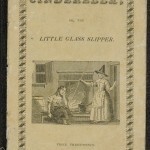 She tended me all day. 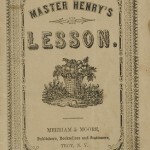 But trying to be good. 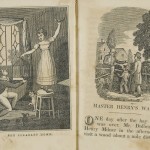 What would become of me ! 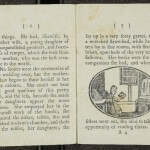 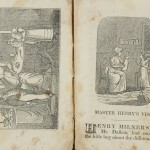 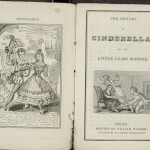 Unique to this version of the Cinderella story (from the other two) is its numerous wood-cut engraving in the shape of either a rectangle, and more commonly within the text, the shape of an octagon. 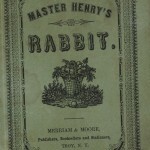 Furthermore, this Chapbook includes a few stanzas of verse throughout the text alongside the main story line. 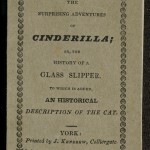 One of the key distinctive features of this version of the story is the spelling of the protagonist’s name. 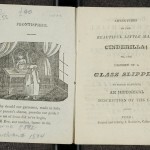 Cinderella is most commonly spelled with an “e”, however, this Chapbook has published the name with an “i”. 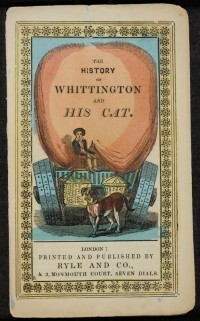 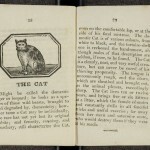 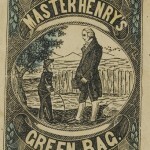 Furthermore, unlike the other two versions, this Chapbook includes a section for the alphabet before the main body of the text as well as adds a juvenile section towards the end of a description of a cat. 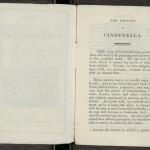 This particular version of the story of Cinderella is a facsimile (an exact reproduction of the original copy) that was acquired privately by the Huntington Library in 1951. 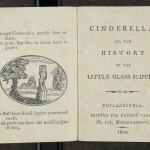 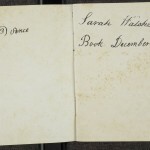 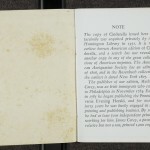 According to the printed note at the beginning of this copy, it is “the earliest known American edition of Cinderella”. 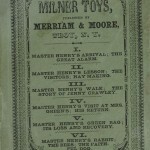 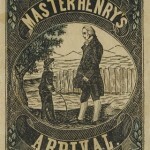 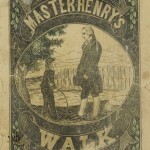 Mathew Carey, the publisher of this copy, was an Irish immigrant who came to Philadelphia in November 1784. 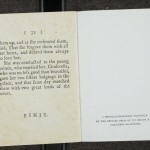 The note further mentions that the text of this version may have been derived from Charles Perrault‘s collection of stories, first published in the late 17th century. 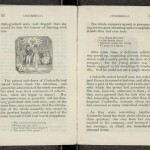 As displayed by the above excerpt, the text closely follows the standard version of the story (Version 2 above also demonstrates this). 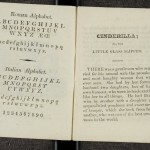 However, unlike the previous version, this publication includes numerous Latin S‘s, ct-ligature, signature characters, and wood cut oval-shaped images.